The start of a new year traditionally sees many of us making bold promises to exercise more, eat less and shake off our unhelpful habits. Yet motivation often wanes after a week or two, and we find ourselves falling back into old patterns. So in 2018, why not do things differently by making positive and long-lasting changes? This article focuses on your career, but the techniques can be adapted for any area of your life. You don’t have to be thinking of moving jobs or hospitals to make changes – you may want to take on new responsibilities within your team, or feel more confident with different aspects of your role. No two nurses will have exactly the same skillset and experience, which is why teamwork is so important. But it can be easy to judge yourself against colleagues, and wonder why you aren’t as successful as them. You can continue to criticise yourself, but if this is the year you do things differently, focus your energy on what matters to you. 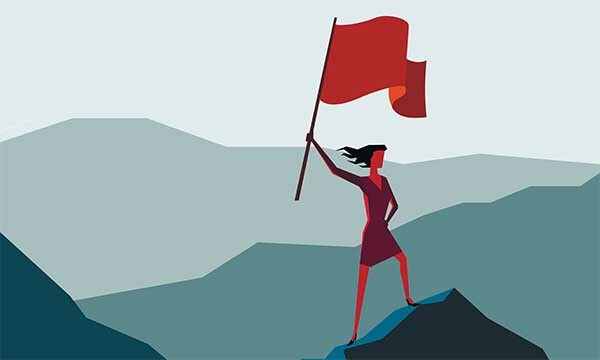 There is no point steering your career path towards someone else’s aims and ambitions, so whether you want to stay at band 5 or aspire to be a nurse consultant, start by identifying what success means for you. Think of a time when you felt successful at work – what did you achieve and what helped you? How did it feel? If you weren’t satisfied with your performance, what else could you have done? How easy is it for you to acknowledge your own success? What are your proudest nursing achievements? Focus on what you feel most positive about, not your biggest accomplishment. You may have given an important presentation, for example, but feel prouder of supporting relatives who were struggling. If you knew you couldn't fail, what would you take on at work that you aren’t currently doing? What would this give you that you don’t already have? 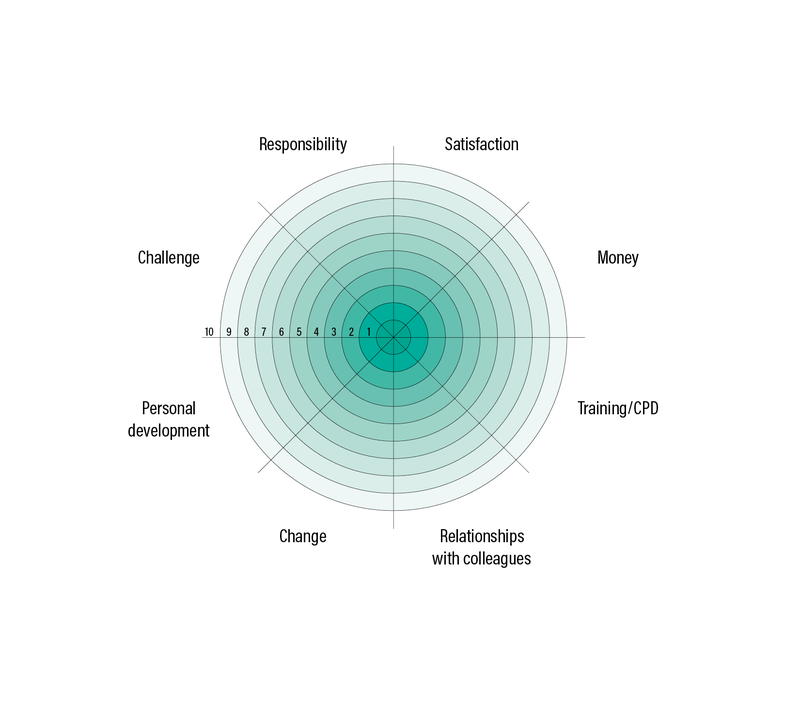 One way to find out how satisfied you are with various aspects of your career is to use the ‘wheel of work’. Adapted from the ‘wheel of life’ coaching tool, this can help you identify what you want to focus on and why. Think of eight things you get from your job, such as money, satisfaction and career development, and use these to label each segment of the ‘wheel’ below. Now rate your current level of satisfaction from 0-10 for each segment, and mark this on the wheel. Without overthinking it, how does your wheel look to you? Is it balanced or not? What would you like your scores to be? Remember, not everyone will want or need 10/10 for each segment. What area do you most want to change and why? Does this align with how you define success? Check that any goals you set for yourself are realistic. If you want more money, are you prepared to work for a promotion?